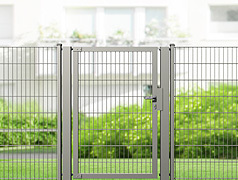 VARIO gate – Everything is possible! Adjustable at any time, for example with lockable bottom catches, with deflectors, etc. VARIO-L is the lightest variant. 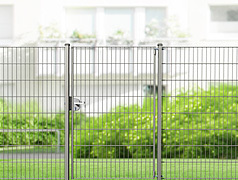 It fits harmoniously into the elegant fence systems. VARIO-M is the happy medium. 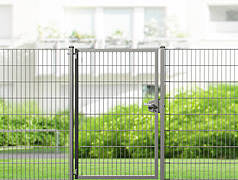 This gate is still elegant but has a design that gives an impression of stability. VARIO-S is a robust design that is hard to surpass for stability.